When Governor Cuomo asked me to take on the responsibility of leading DASNY, he requested I apply all I have learned from experience in both the public and private sectors to enhance DASNY’s impact on New York. As I told the Governor, serving at DASNY is not just a job. It is a mission. It is a mission to help make New York a better place to live, work and learn. It is a mission to create thousands of jobs; a mission to promote the safety and well-being of our state’s most vulnerable residents and a mission to create centers of educational achievement for the rising generation. It is a mission to support equal opportunity. So it is with great pride I can say on this day it has been a year since I accepted Governor Cuomo’s challenge, and became the first DASNY President and CEO to be confirmed by the New York State Senate. And I am delighted to say it has been a fantastic year as DASNY helps lead New York to new heights. We are delivering billions of dollars in low-cost financings that keep New York competitive. We are executing on construction projects efficiently and with speed. Combined, these two lines of business – public finance and construction – are powerful economic development engines across New York. The results of this work could not be clearer. DASNY was recognized by The Bond Buyer and Reuters as the top bond issuer in the nation for 2015. We broke a fiscal year financing record with $8.3 billion issued in Fiscal 2016. DASNY also completed the highest value project in its history with CUNY’s Advanced Science Research Center and we surpassed Governor Cuomo’s 30 percent MWBE contracting goal on the New York State Office of Mental Health’s Bronx Behavioral Center. Throughout it all, I focused on putting our clients first. I listened to their needs and then acted so that DASNY continues to drive and lead the market. By doing more for our clients, DASNY can provide greater opportunity across New York. It means more jobs and more work for minority-, women- and service disabled veteran-owned businesses. As part of our renewed focus on clients, DASNY made changes to its financing guidelines and policies that provide borrowers with greater speed, certainty and flexibility. Members of the Public Finance team and I worked with our partners at the NYS Department of Health to expedite bond proceed requisitions for our health care clients, so they can focus on delivering high-quality care rather than idle funds. I realigned DASNY's organizational structure to allocate resources efficiently. The changes better position DASNY to provide excellent service to our clients. In the process, I have discovered DASNY’s incredible impact across this great state. DASNY is supporting Governor Cuomo’s economic development strategy by financing and constructing world-class research centers where scientists are making groundbreaking advances in medicine, technology and other fields. The low-cost financing DASNY provides to hospitals, nursing homes and other organizations enables the transformation of health care delivery. DASNY’s work with the Governor’s Office of Storm Recovery (GOSR) and other agencies is preparing communities for increasingly powerful storms. Our financing and construction services delivered to every level of our education system are helping New York win the competition for the world’s best minds. 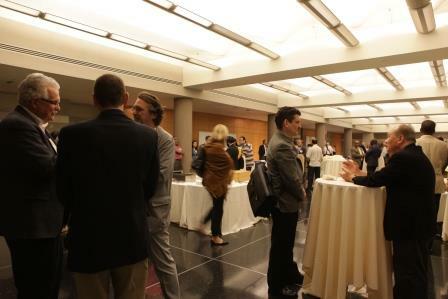 You, our partners and clients, are integral to all of DASNY’s success. By choosing us, our clients know DASNY will deliver high-quality projects and low-cost financing. Our partners in both construction and finance help us execute at a high level and maximize value. Thank you for choosing us and working with us! This was just one year. Now, we are on to the next. It is filled with the promise that we can and will deliver for New York State at the highest level. 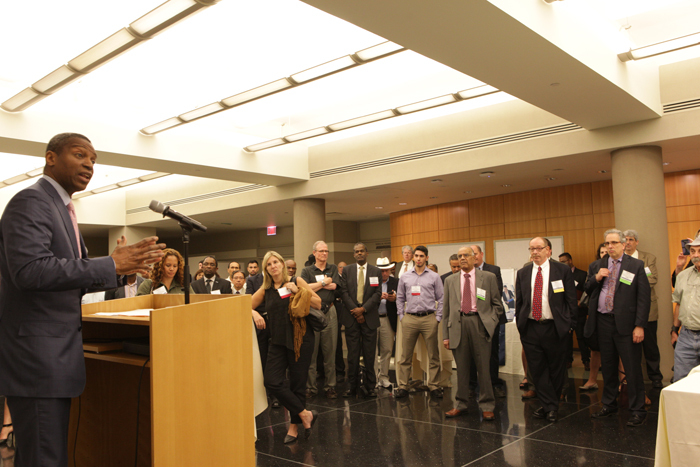 On May 25 in Albany and again on June 7 in New York City, DASNY hosted MWBE networking events. 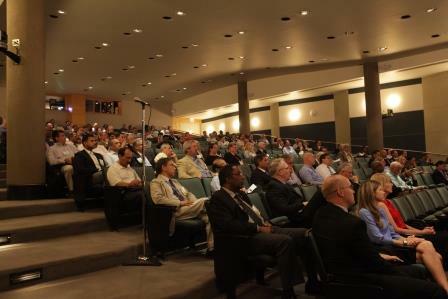 Combined, the two events drew 300 attendees. 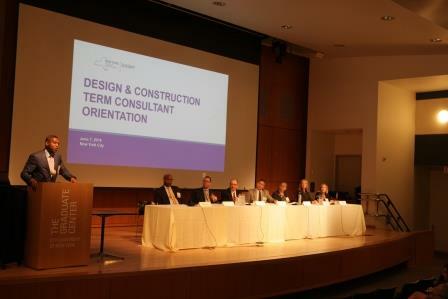 They provided MWBE firms with the opportunity to meet DASNY staff and DASNY’s newest slate of architectural/engineering and construction management term consultants. 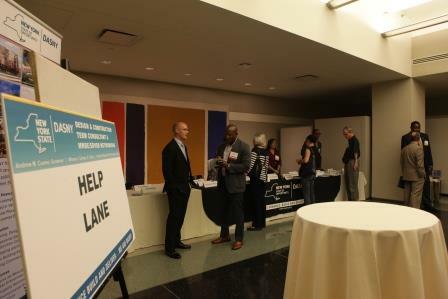 The events were designed to support DASNY’s partners in the ongoing effort to meet and exceed Governor Andrew M. Cuomo’s 30 percent MWBE contracting participation goal. The expectation is that DASNY and its partners will continue to reach higher and execute at a greater level in the MWBE arena. 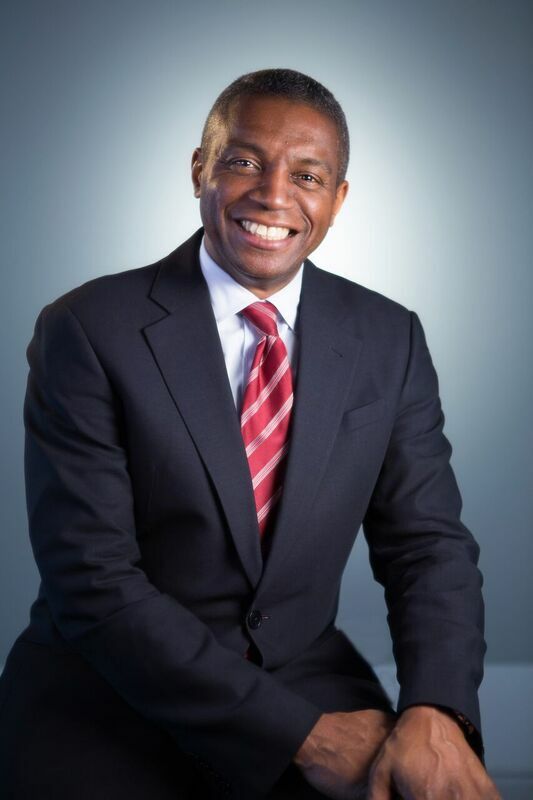 In remarks at each event, DASNY President and CEO Gerrard P. Bushell explained the significance of MWBE contracting and how it is part of DASNY’s DNA. He made clear to the new term consultants that in order to do business with DASNY, they need to work with the MWBE firms. Bushell also announced that he has realigned DASNY to streamline and simplify its organizational structure. The realignment took DASNY’s MWBE unit out of a silo and placed it in construction, alongside procurement staff. Procurement handles DASNY’s contracts. It is DASNY’s mechanism for project delivery. Together, they form a new unit, Resource Acquisition. 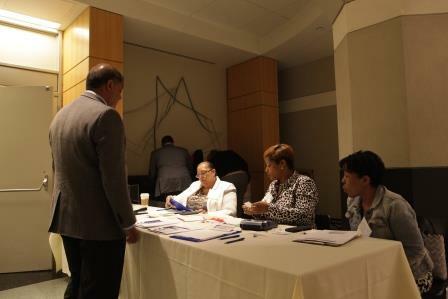 In this new paradigm, DASNY is treating MWBE contracting and project delivery as one in the same. 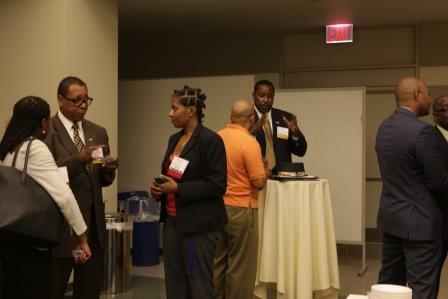 It means MWBE involvement is a focus even before a contract is drawn up. It then remains a focus through the life of the contract.